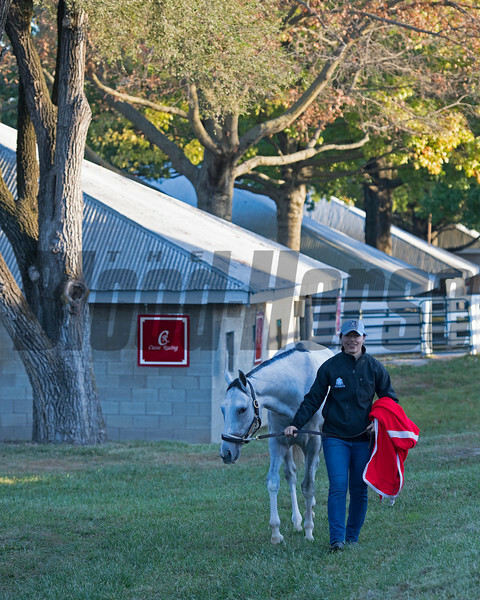 Caption: Arrival (Tapit—Alittlebitearly) grazing outside the Mark Casse barn. Training and racing scenes. Oct. 4, 2017 in Lexington, Kentucky.